Grey Squirrel Control offers training to homeowners, woodland owners, organisations anyone wishing to carry out squirrel control. Training can be on a one to one or group basis and can be run on your own premises or ours in Suffolk. This course is designed to help people plan and carry out grey squirrel control. It is intended to give candidates a full working knowledge of both preventive and curative methods so that they can plan, implement and monitor a control programme that is appropriate to their situation using efficient and safe methods and with due regard to the environment. Training is targeted at persons wishing to undertake pest control, setup squirrel control groups, national organisations, forestry operations and homeowners. 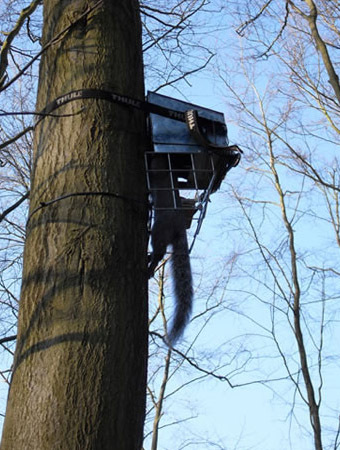 The individual species courses offered by Grey Squirrel Control cover the majority of the syllabus for this qualification. Understand the reasons for controlling grey squirrels and the effect they have on red squirrels. Understand legislation relevant to the control of grey squirrels. Understand the biology and behaviour of grey squirrels and its relevance to control. 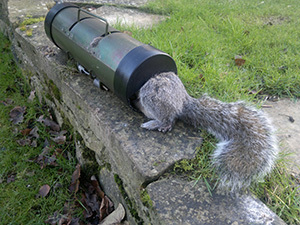 Survey for grey squirrel activity and establish a control programme. Set traps, both live capture and spring traps safely and effectively with due regard to humaneness.